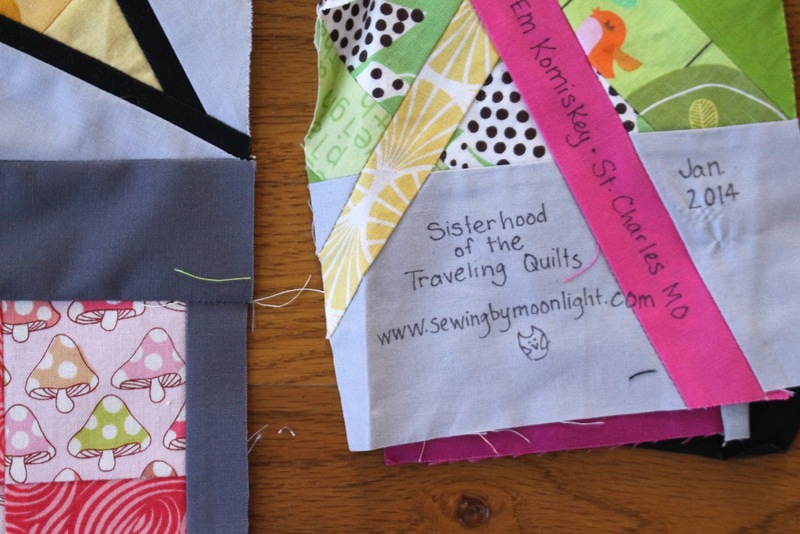 In 2014...yes 2014...there was a group started for a traveling quilt. I have never participated in a traveling quilt and my friend Em invited me so I said YES! I had no idea what it was all about and am not sure that I do even now! We have all had things happen in one way or another in the past couple of years. The Sisterhood of the Traveling Quilt fell to the wayside, as things do when life gets in the way of...well...everything! I pulled Em's quilt out this morning to see what I wanted to add and when I saw the colors I knew that my addition would include the lasted FREE block by Celine Perkins for The Splendid Sampler! It is a fantastic scrappy block! Aren't they lovely! I think they are perfect for Em's quilt! I added my row of fun to the quilt and now it will be off to the next in the group for some more beauty! I have one more item now checked off my sewing list and so many more to do! What are you working on today? I loaded an overdo QOV project on my Grace this morning. Now it's calling my name and I'm at work. I made 6 of the first block. One for me and 5 for a round robin my guild is hosting. 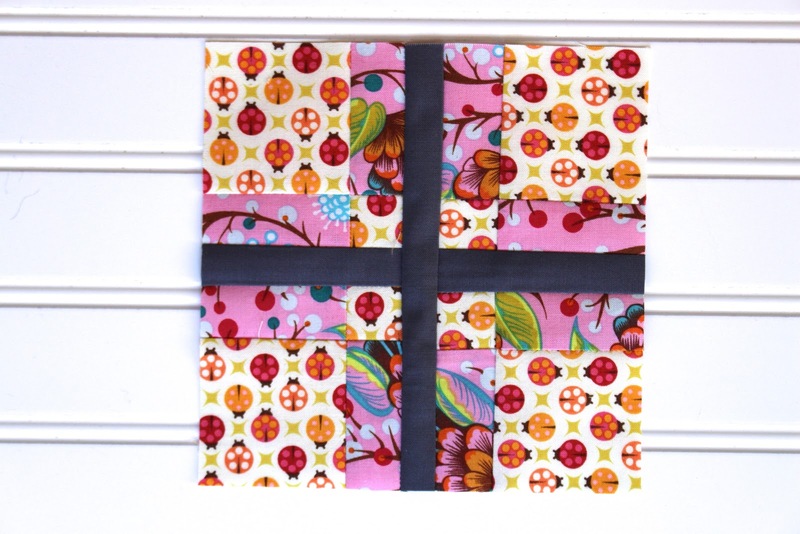 Looks like these sampler blocks are coming in handy! Thank you so much for working on a QOV quilt! You time and talent is appreciated! I am loving The Splendid Sampler blocks! Great time to try new things and make a couple of extras for projects like this one! Your blocks are lovely! I am flitting between projects...as usual! 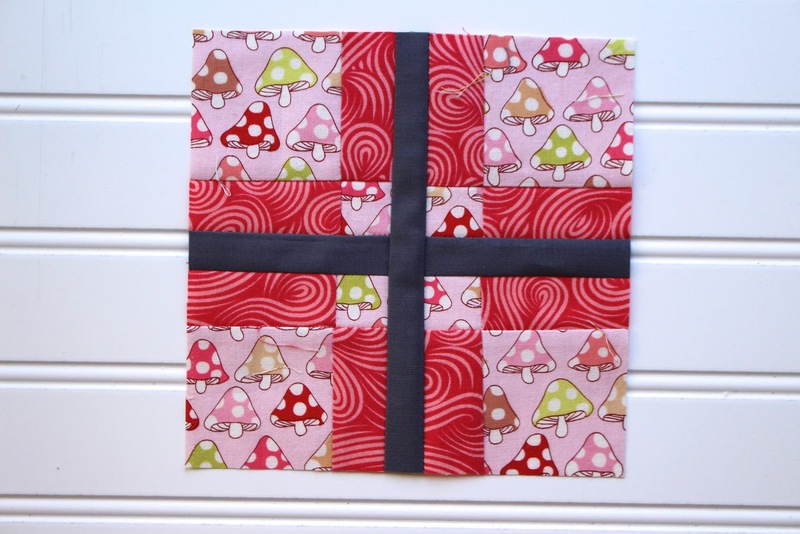 Love your Simple Simon blocks, they are perfect with everything that's been done so far. 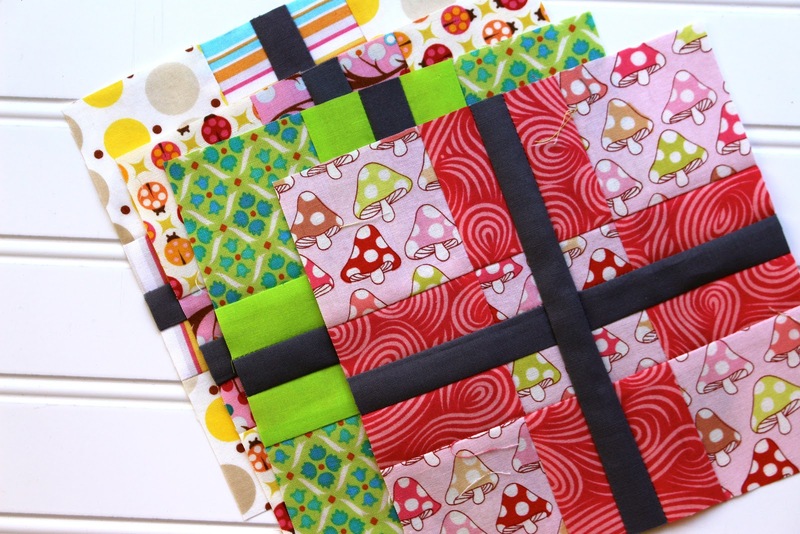 I want to try out this block smaller and make a zip pouch with them. Oh and that star is so lovely with the outline in the darker color! I'm in a round robin and it's been a lot of fun. It ends this month and we are having a big reveal party at the end of the month ~ I can hardly wait!